The Baxter State Park Authority exists to ensure that the Park "Shall forever be kept and remain in the Natural Wild State", to provide recreational opportunities to the public in accordance with trust provisions, to operate and maintain the Park for the use and enjoyment of Maine people. According to the donors wishes; the Park will be managed as a sanctuary for beasts and birds and "Katahdin in all its glory forever shall remain the mountain of the People of Maine." 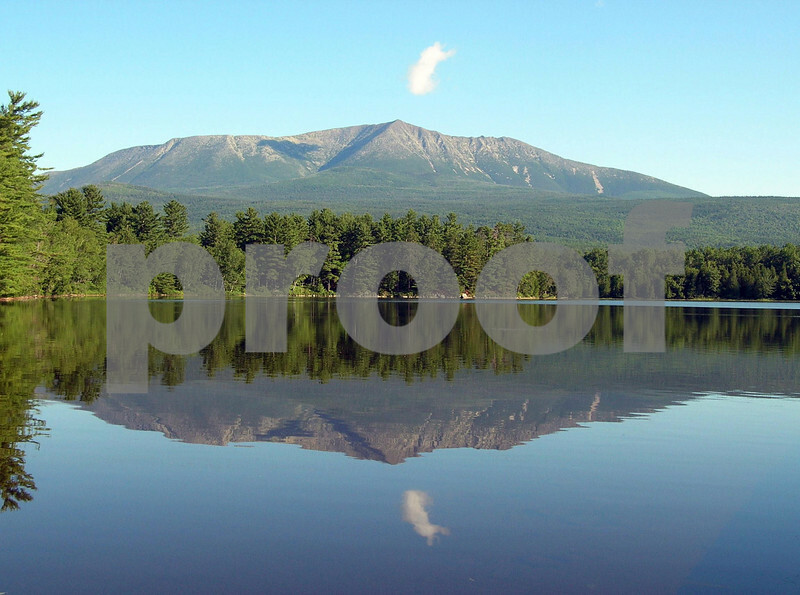 Magnificant view of Mount Katahdin's Baxter Peak from the Katahdin Unit of Camp Natarswi, the Girl Scout Camp located on Lower Togue Pond. With the the end of Appalachian Trail and Mount Katahdin at your doorstep, Natarswi offers a true, north woods camping experience. Elevation 5,268 feet.